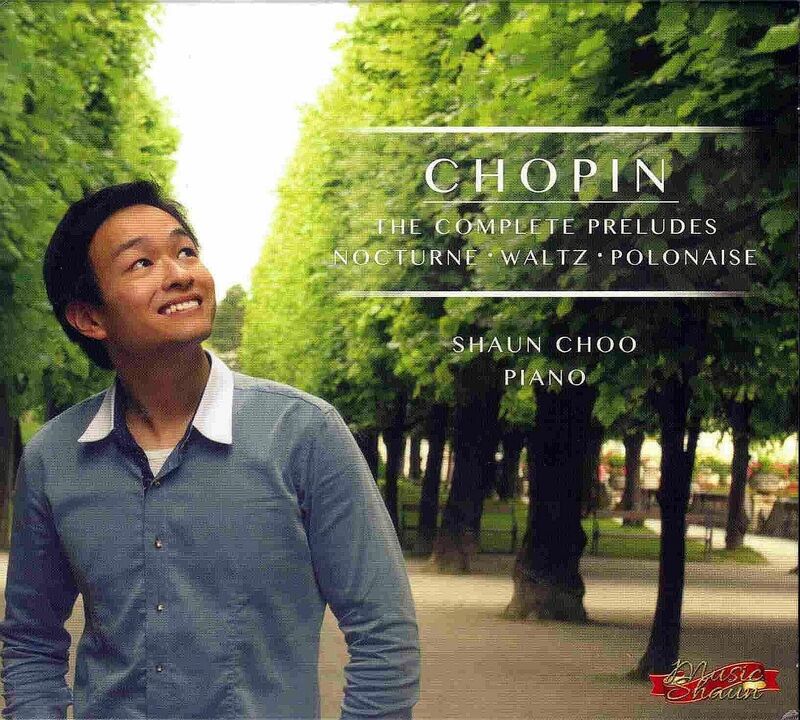 With this self-produced and self-recorded album, young pianist Shaun Choo became only the second Singaporean (after Azariah Tan) to record an all-Chopin disc. Choo was the first-prize winner of the Asia-Pacific International Chopin Competition in Daegu, South Korea, in 2012. His programme here follows closely that of the debut Deutsche Grammophon album of Seong-Jin Cho, first-prize winner of the 2015 Chopin International Piano Competition. The main work is the complete set of 24 Preludes (Op. 28). Having mastered it during his teenage years, Choo finds a wealth of nuances and kaleidoscopic responses in this seemingly disparate set of miniatures. There is also a narrative sweep that is all-absorbing and impossible to put down. Instead of the Funeral March Sonata in Cho's recording, Choo has the scintillating Grande Valse Brillante In E Flat Major (Op. 18), which combines elegance with exuberance. The programme is completed by the brooding Nocturne In C Minor (Op. 48 No. 1) and the very familiar "Heroic" Polonaise In A Flat Major (Op. 53), performed with passion and polish. Presently a post-graduate student at the Mozarteum University Salzburg, Choo is a compelling home-grown artist destined for bigger things. This disc is available at amazon.com and online/streaming platforms like Spotify and Deezer.